What's Sugar Free and Keto Friendly at Starbucks? 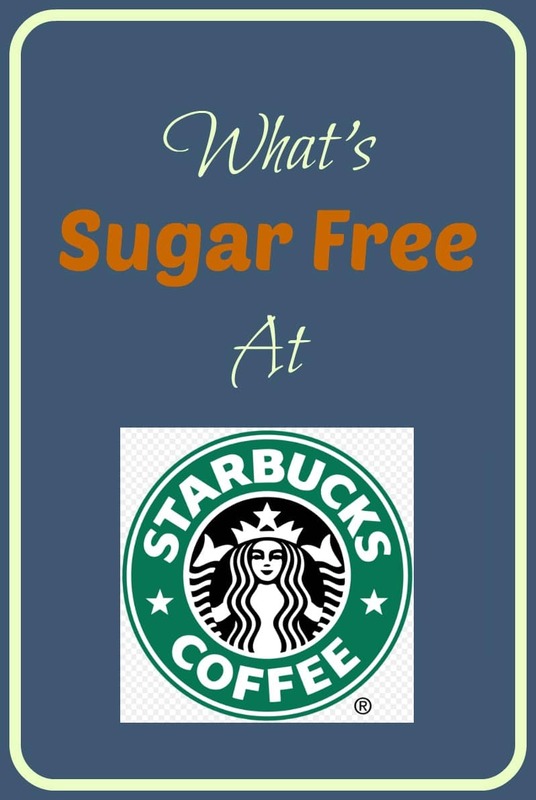 What’s Sugar Free and Keto Friendly at Starbucks? So Starbucks is a little different than the other restaurants we’ve covered in that all their drinks are assembled piece by piece so you can make most of their drinks sugar free just by requesting one of their sugar free syrups instead of what they normally put in there. Currently the available sugar free syrups are Vanilla, Hazelnut, Cinnamon Dulce, and Mocha and they also have special Holiday flavors like Peppermint that are only available at certain times of the year and of course you can always ask to have your drink sweetened with Splenda. Unfortunately, the whipped cream has sugar and there doesn’t appear to be a sugar free option for this. 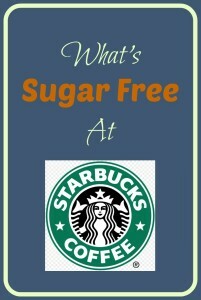 So here are your Sugar Free options at Starbucks. UPDATE: How much Sugar is in the New Starbucks Unicorn drink? I got this question in my email today. Short answer? A buttload. Like, a massive truckload of sugar. A 16-ounce Unicorn Frappe contains 410 calories, 16 grams of fat, and 59 grams of sugar, while the 24-ounce version has 500 calories, 18 grams of fat, and a mind-blowing 76 grams of sugar. This isn’t a good choice if you are trying to cut out sugar, you would be better off eating an entire large pizza and honestly, I bet it would taste better. Kid’s Drinks – They will steam milk and add one of the sugar free syrups, just be sure they don’t put the flavored drizzle on top. Chicken Artichoke on Ancient Grain Flatbread – Just remove the bread. Protein Bistro Box – Just don’t eat the side of honey peanut butter spread or the pita bread. Remember you can find the full list of restaurants we’ve covered here. Thanks! 3rd Update: I sent a note to Starbucks to specifically ask which syrups they still carried that were sugar free. Here is the response I got. Thank you for contacting Starbucks. I just finished reading your email and appreciate you taking the time to share your concerns with us. Aarn, I will be more than happy to take care of your question. Thanks again for writing us. If you ever have any questions or concerns in the future, please don’t hesitate to get in touch! A Reddit user made a list of more great Keto friendly things you can see here but I will copy and paste it below as well because Reddit posts are notoriously hard to find after a few weeks. As a Starbucks barista doing Keto, I’ve had to improvise a bunch during my time here! Here are some of the tips I’ve picked up along the way. Iced Tea w/ an Infusion and no Liquid Cane Sugar. This is my go-to order! In terms of teas, we have Black, Green, White, and Passion tea (an herbal tea). Our hot teas and drip coffee come unsweetened by default. You can get whatever you want. You can also ask them to steam a little bit of heavy cream on top. Make sure to specify a little bit, otherwise they might make it a “misto” Which is half coffee/tea and half heavy cream. If your are getting a sugar free syrup/skinny mocha, make sure to specify the number of pumps you want depending on the size. I recommend 2 for a tall, 3 for a grande, and 4 for a venti of sugar free syrups and 1 of skinny mocha in a tall/grande and 2 in a venti. You can also ask for light Heavy Cream or light Almond Milk on top. [Tall,Grande,Venti] Iced Passion Tea with No Liquid Cane Sugar, [2,3,4] pumps of sugar free vanilla and light heavy cream on top. If you want it to look more like the Pink Drink, You can ask them to add the Freeze Dried strawberries to it. [Tall,Grande] Skinny Caramel Machiato with almond milk and no caramel drizzle. if it fits your macros, you can ask for light caramel drizzle, which will add about 2-3 carbs to your drink. Our almond milk has 5 grams of carbs per cup. A tall iced will likely have about 5oz of almond milk while the hot will have around 10oz. You can ask for heavy whipping cream (around 7g of carbs per cup) but it will also have over 800 calories for a cup. Additionally, you can go half heavy cream half almond milk if you’d like. This is a great option for those occasional Chocolate cravings. Half and Half steams a lot better than heavy cream, so if you can spare the carbs, go with “breve” over heavy cream (it will also have significantly less carbs. You can adjust the pumps of mocha to your taste. One of my go-to drinks that I still enjoy every time. I love this drink. A venti doubleshot will have five shots of espresso shaken with ice in a shaker then topped off with 2% milk. Simply substitute the 2% with light heavy cream or almond milk! I like to flavor mine with sf vanilla, but play around with the recipe to find what you like! How I order: Venti Starbucks Doubleshot on Ice Unsweetened with almond milk and sugar free vanilla. The inside of a panini! I usually get either the turkey pesto panni or the chicken and double smoked bacon and eat the insides of it. The turkey pesto is relatively filling if you combine it with a drink from above. Most Starbucks will have almonds, some sort of cheese, or a cheese and salami tray. The Egg and cheese protein box. leaving the fruit. The new meal sized BLT Turkey protein box. I leave the bread off. If you think your Iced Tea is too watery, ask for no water! We usually put 50% tea and 50% water and then add ice! I personally never get water in my teas. If you want Splenda or another sweetener in your tea, ask the barista to shake it into the tea, it will usually taste better because it will be more dissolved/incorporated in. On that note, always make sure your tea is shaken! All us barista SHOULD shake the teas but sometimes we forget (and some baristas don’t at all) but it definitely WILL make it better! Especially with the infusions. Our Almond Milk only has 5g of carbs per 8 ounces, making it one of the lowest carb milk options we have. Our Teas and Iced Coffee’s come with syrup in the recipe, but we can remove it upon request! Our whipped cream is Heavy Cream and regular vanilla syrup, so it does have a good amount of carbs. However, it is fresh and delicious, so you can ask for just a little bit on top of your drink if it fits your macros. Your barista is willing to help you! 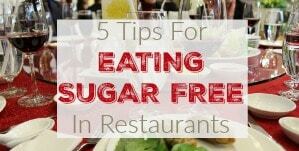 Just be nice and let them know you cannot eat sugar and ask them for a suggestion! Frappuccinos. It doesn’t matter if you get it “light”. The light base has 50% less sugar than the regular one, but it still have enough sugar to knock you out of ketosis. While you can ask for any drink blended, They won’t stick together and the liquid will separate from the blended ice. Refreshers: Bottom line, our refreshers have a lot sugar. making them not suitable for Keto. Stevia: Our stevia is mixed with fructose and has 2g of carbs per packet. Breakfast Sandwich “Insides”: The eggs inside the breakfast sandwiches all have carbs due to the mixture used. This includes the wraps. Any regular syrup: This one is kind of self-explanatory, But you’d be surprised how many people say they are low carb and ask for “only three pumps”. On average, each pump of our regular syrups have 4-6g of carbs. White Mocha: There is no skinny version of this. Matcha: Our matcha is a mix that comes pre-sweetened. Chai: Our chai mix has a ton of carbs. Even the lightly sweet chai has carbs. However, our chai tea bags have no carbs. Be sure to drop any questions in the comments! I’ll try to answer them all! I hope your guys found this helpful. Ill try to update this as I remember more details. Additionally, please feel free to comment what you get at Starbucks, I can add it to this guide to help other users! PREVIOUS POST Previous post: Sugar Free Cucumber Dill Salad Recipe! 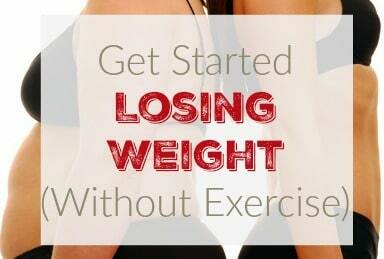 NEXT POST Next post: 2/17 Weightloss Wednesday! I was just at Starbucks and ordered a caramel carp with the sugar free caramel syrup. While the Barrista was mixing my drink I saw her squirt in something else. I asked what it was and she said it was a stabilizer. I asked if it had sugar in it and she said yes. She said the best they could do was to put in the light stabilizer which still contains sugar. Have you heard of this? Any suggestions? Hmm…I haven’t. Doing a little research, every time I see “Stabilizer” listed in a drinks ingredients it is broken down into things like Guar Gum or Xantham Gum. I can’t find anywhere where sugar is listed as an ingredient. Perhaps next time one of us is in a Starbucks, we can ask to see the ingredients on that stabilizer and see for ourselves. IF you get there first, please let me know. Here’s the ingredient list I’m looking at. The sugar free vanilla pump and granular splenda available at Starbucks both contain Maltodextrin. Maltodextrin is a zero calorie sweetener but has a glycemic index of 80. It’d be easy enough with 2 packets of Splenda to kick a person out of ketosis. The pump is absolutely loaded with it, so any amount is a no-no. Just found this out so it’s not sugar free! Pissed bc I was told it’s completely sugar free. Ah… you are correct. The way it is written out on the ingredients list I thought the vanilla syrup was part of the drink and not the whipped cream. Thanks for bringing that to my attention and I’ll fix it now. Substitions “Heavy Cream” has no sugar. they won’t whip it but it is a good supliment. 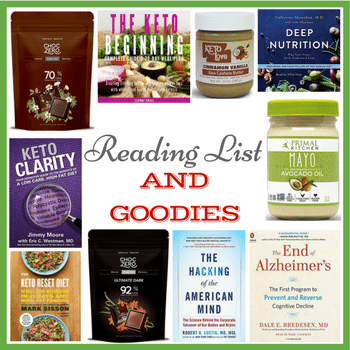 I’m a Ketogenic fan. I used to regularly order the iced coffee, but I often found they’re trained to add “classic syrup” to iced coffee without any mention of it. So I always had to specify “no classic” to keep the sugar out! Also, cream, like heavy cream that if you buy in the grocery store shouldn’t have sugar in it, appears to have sugar in at Starbucks. Although, it’s hard to tell from their nutrition information. A grande Skinny Vanilla (SF syrup) late still has 15grams of sugar….likely from the milk so just be wary of what you’re ordering. That’s very true. Lactose is a sugar also, I just don’t talk about it as much because it does far less damage than other types of sugar but you should absolutely be aware of that. What about almond or coconut mik in the drinks? 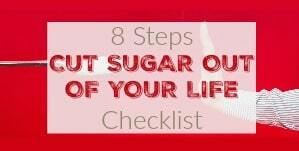 Does it really help reduce sugar? A good option—especially in the during the summer when you really really really just want a frap—is to ask for an “Iced Grande Skinny Vanilla Latte blended in a vente cup.” They will look at you like you have two heads, but insist. Seriously. Because there’s no “stabilizer” in this “frap,” the blender doubles the size of the drink. Hence, asking for a grande in a vente cup. When I first invented it for myself, I realized half my espresso was going down the drain because the volume of the cup didn’t hold the blender-increased volume of the drink. Actually, Splenda & Sweet n Low are not known carcinogens. This urban legend refuses to die. Yes, they are….but in such huge amounts that you’d have to eat them by the truckload. The “urban legend” refuses to die because it’s true….though unlikely. I drink the Skinny Venti Mocha (3 pumps) Breve. What amount of sugar am I still getting? Guess I am terribly ignorant in thinking the SF was truly sugar free. Love the coffee and flavor, but must put need to keep sugar low a priority with this as with all else. The local sites here say they make their own and it is not available for sale via Starbucks. Yet, I find it presented otherwise on the Internet. 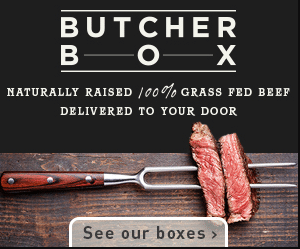 What is the difference in their homemade (so to speak) and what seems to be available online? Are the sous-vide egg bites kept friendly? Thank you for all of your work! I’m not sure. Is it just egg? If so, then yes. They add potato starch to the egg bites! Christine, they have many ingredients… they are 8 carbs each. The way I follow keto I would only eat them when I am in a bind. I do clean keto 7 carbs or less per meal… also you need to add fat… and the bacon and cheese is the one you would want, less carbs… the pepper bites have a few more carbs. That said if you aren’t doing clean keto or 7 or less carbs per meal this would likely be considered a good choice. I eat these when I am not prepared… and I also use my rewards for them 🙂 I only drink 4 espresso shots with my own sukrin and 3 oz heavy whip as a drink as Spenda isn’t clean and also makes me crazy dizzy. so my drinks are only $3 to begin with. Egg bites are about $4.50. Cheers! There’s no such thing as “sugar free mocha”, only a skinny mocha which is only 75% less sugar than the regular mocha syrup. Also, the sugar-free hazelnut has been discontinued by Starbucks. Starbucks’ Frappuccino roast that goes into all (minus creme-based) frappuccinos, is not sugar free nor is the base that is used. Just FYI, I checked today and the almond milk has 3 grams of sugar, but the heavy cream has none. The almond milk they use is not the same as the 30cal/cup sugar free one we buy in the store. It is more like the lightly sweetened 60 cal one – so not good for keto. The coconut milk is also sweetened. I heard from a barista yesterday that if you use a heavy whipping cream base in your fraps you can avoid the sugar. The barista mentions that since she cannot have sugar, she makes it this way. I wanted to order my Skinny Mocha Frap this way. 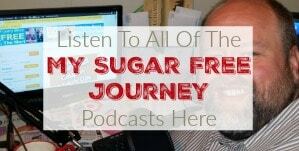 Can I avoid the sugar and stay in ketosis this way. If not, suggestions please. 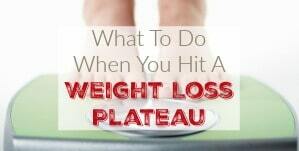 Heavy whipping cream is a great option. Low in sugar (Just lactose) and high in fat. That’s the way to do it. Hi, I worked in Starbucks. There is no such thing as a sugar free Frappuccino. While some of the flavored syrups are sugar free, the frappuccino base is always made with sugar (sugar is, in fact, the first ingredient of the frappuccino base). Starbucks is actually misleading customers by stating that some of the frappuccinos are sugar free, as all frappuccinos are made with a frappuccino base and the flavoured syrup is then added on top – ask to look at the ingredients list of the frappuccino base next time you’re in Starbucks. If you’re diabetic, or cannot have any sugar in your diet, you can’t drink any of the Starbucks frappuccinos, unfortunately. Is there a sugar free chai tea? I’m not sure.